A look at the lives of three black female pioneers working at NASA and their contributions to the United States space program. 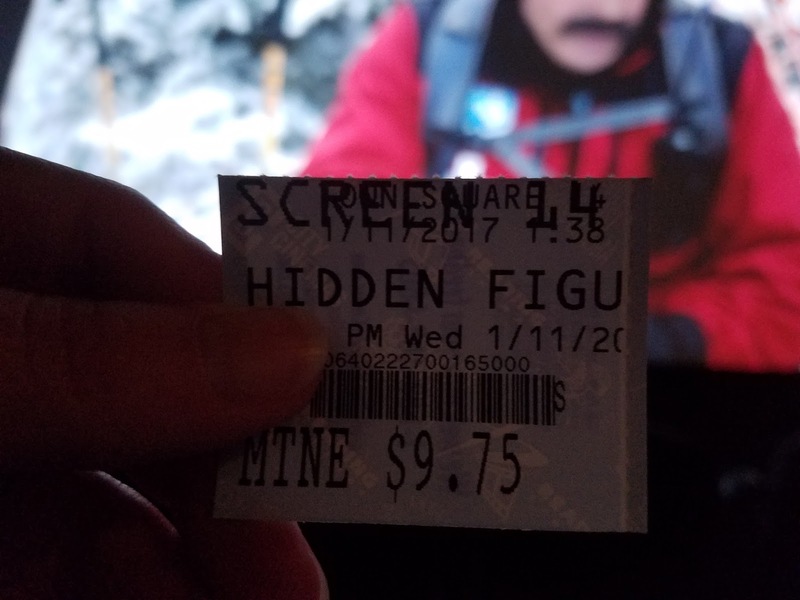 "Hidden Figures" is directed by Theodore Melfi, who is known for the 2014 film "St. Vincent." It is written by Melfi and Allison Schroeder and is based on the nonfiction book of the same name by Margot Lee Shetterly. 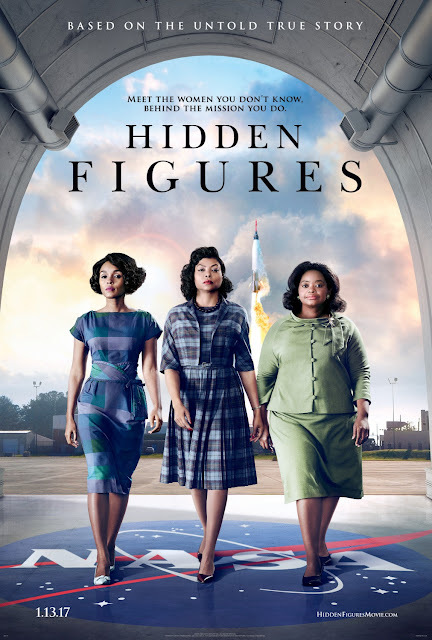 It stars Taraji P. Henson, Octavia Spencer, and Janelle Monáe as Katherine G. Johnson, Dorothy Vaughn, and Mary Jackson, three hidden contributors to the NASA space program who, until recently, had not received much recognition. These three women worked for NASA as "computers," who basically verify the calculations of engineers and other mathematicians. These three brilliant woman, however, would prove to be so much more than that. Though all three woman have their own character arcs, the primary focus is on Taraji P. Henson's Katherine, an accomplished mathematician who, because of her race and gender, is often forced to take a back seat to those she is better than at math. She, of course, eventually starts to show that she is a valuable, indispensable asset, calculating launching, landing, go/no go, and all of the other space and math jargon stuff we honestly don't comprehend, but sure makes for compelling subject matter. Monáe's Mary strives to become the first female engineer at NASA, but has to petition the court to allow her to take night classes at an all-white school, and Spencer's Dorothy, who finds she is not getting a pay raise and proper title for doing a supervisor's job, takes it upon herself to learn an entirely new computer language as IBMs are coming in to replace the human "computers." These three woman put on wonderful, layered performances, each doing a great job bringing their true life characters and their struggles in a still-segregated Virginia to life. This is a glossy Hollywood biopic that runs through the typical biopic formula, but feels much more urgent and important to share with the world at this particular juncture and climate. It takes a few liberties here and there as the telling of true stories often do, but director Theodore Melfi and co. manage to capture the accomplishments and the spirit of the film's protagonists brilliantly. They do show much of the shameful past of segregation in America and manage to use that conflict to draw parallels to issues we now face in our modern times. There is no better example of this than in a scene between Octavia Spencer and Kirsten Dunst, as the latter assures the former she has "no problem with y'all." Spencer's response? "I'm sure you believe you feel that way." Could you ask for a more relevant response to such a comment? Each woman has her own individual powerful "Oscar reel" moment like this. Janelle Monáe's takes place in a courtroom, and Taraji P. Henson gets the biggest showcase scene in the film when she is forced to explain why she takes so long to go to and from the restroom. "Hidden Figures" is an engaging film that will keep audiences fully enthralled and moved emotionally. It is tremendously acted and is a story we wish we had heard of sooner. Its biggest flaw comes from a few pacing issues in the middle of the movie, but never to the point where we felt bored. It remains captivating and harrowing, and is an absolutely great film worth checking out on the big screen.